At Undiscovered Montenegro, responsible tourism has been the backbone of our business from the beginning. 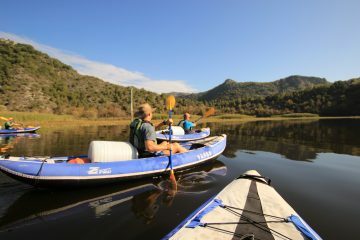 We are proud to have been the first tour operator in the country dedicated wholly to ‘eco-tourism’ or ‘sustainable travel’ – inviting small groups to visit and enjoy activities in nature which are low impact on the environment – hiking, kayaking and cycling – but high impact in experience and cultural connection, for example, by dining in local homes. 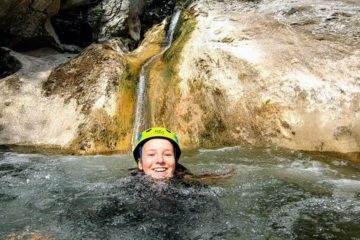 Our Responsible Business Pledge: Undiscovered Montenegro is committed to operating high quality adventures which minimise the environmental and social impacts of our guests, while actively supporting local conservation projects, traditions, culture and people. It is up to us to lead by example, demonstrating that a responsible travel model makes good business sense, creates better experiences for tourists and locals and offers a sustainable way to develop tourism in national parks across the Balkans. 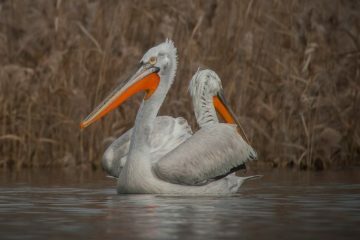 The rare Dalmatian Pelican is the emblem of Lake Skadar National Park, where we began our business, but it is a bird in peril. We are committed to donating a proportion of our company profits each year to help its vulnerable colony flourish, which means every tour booked with us helps the pelicans. Our funds have already enabled the Skadar Lake Dalmatian Pelican Conservation Project to conduct essential repairs to artificial nesting rafts ahead of the 2018 breeding season and move forward with a project to replace old solar units for video monitoring. Read more here. 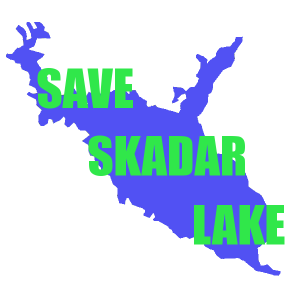 We support the Save Skadar Lake campaign and have signed, publicised and encourage more to sign their petition against the construction of a large luxury resort and marina on the shores of Skadar Lake National Park. The lake, a Ramsar Wetland of International Importance and candidate ‘Emerald’ site for Europe, is home to great biodiversity and some of the world’s most threatened species such as the Dalmatian Pelican and European Otter. Europe’s last remaining great nature sites must be protected for wildlife and future generations. Read more here. From the start, we have arranged & supported regular clean-ups in our local area, Virpazar, and we also campaigned for and succeeded in getting the first ever waste bins and collection services for some of our local villages back in 2016. 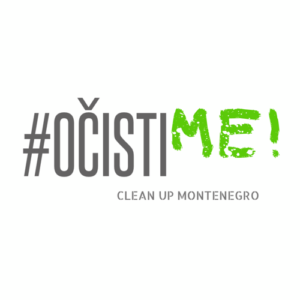 In 2019, together with some friends, we decided to spread our desire for a clean Montenegro nationwide, co-founding OcistiME! (CleanME! ), a movement to inspire citizen and government action. Through social media like Facebook, we report on and celebrate the citizen heroes arranging clean-ups and we’ve also launched a petition to ban single use plastic bags in Montenegro and do more – please sign it! We have always been committed to minimising the negative environmental impact of our guests, who often buy bottled water as a safe drinking source, so when we heard about LifeStraw’s refillable water bottles with a filter inside, we had to order some to try. This portable bottle removes 99.99% of waterborne bacteria and parasites, even from a puddle – an essential for any traveller and now on our list of what to bring for guests and part of our kit for tour guides. 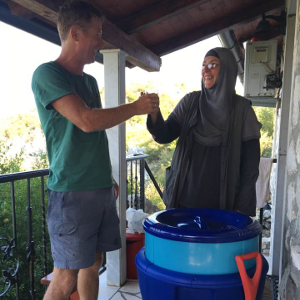 In fact, we are such fans of LifeStraw’s products, which can revolutionise lives in places without safe drinking water, that our founder Ben arranged to bring two of their larger filters by kayak to the nuns and monks of two remote island monasteries on Lake Skadar. Read more about LifeStraw water bottles here. When tourism involves the community, everyone benefits. 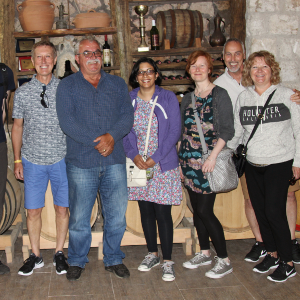 Unlike many tour operators who are focused on profit for themselves, we are committed to boosting local economies where we run tours. ‘Going local’ is how we achieve this: employing and training local guides, choosing local partners for accommodation and tours who are small and often family-run, encouraging ‘slow travel’ so guests stay days, not hours, in a single destination and by taking our guests to local homes to dine, taste and buy locally-made honey, wine and other domestic produce. The benefits are not just economic but cultural too, fostering pride and value in maintaining local traditions – from bee-keeping and carp or ham-smoking, to wine-making, fishing and cottage farming. We also provide guests with a Travellers’ Code of Conduct. 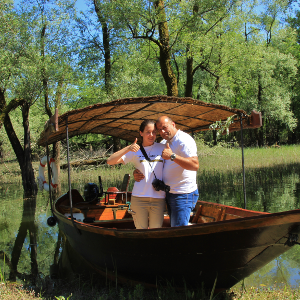 The National Park of Lake Skadar, our base of operations, is a special place which has mostly escaped the touch of time. This includes knowledge of the internet and digital marketing among many of the people who live on its shores and hilly hinterland – what a delight for those tired of the digital age, but a barrier for local entrepreneurs keen and able to provide good services for tourists! Noticing this, we decided to create and maintain our own free-of-charge online listings portal for our local friends, the entrepreneurs behind some excellent privately-owned accommodations and boat tours for tourists. www.lake-skadar.com is included in the Lonely Planet Guide to Montenegro and we welcome local businesses who comply with legal requirements to contact us for inclusion – tours@lake-skadar.com. 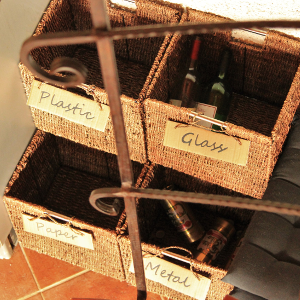 A lot of accommodations get called ‘eco’ in Montenegro, but without the owners knowing what this really means. Our Lake Skadar activity base, Villa Miela, is an accommodation which genuinely respects the environment. With metre-thick stone walls (the traditional Mediterranean way of keeping cool), air-conditioning isn’t needed: instead, electric fans are available for occasional use. To keep emissions down, guests are asked to turn off all electric fans/lights on leaving the room. We are off-grid for water, with our reservoir fed by mountain-spring and harvested rain water. The soaps in our guest bathrooms are handmade using locally produced olive oil, our gorgeous bed covers are handmade supporting traditional weavers, all light bulbs are energy-saving LED, we use ‘eco’ cleaning products and take all our guests’ recyclable waste to our closest recycling centre, 10kms away. As a developing country, Montenegro is doing its best but still has some way to go when it comes to waste management and awareness levels on recycling and reducing disposable plastics. 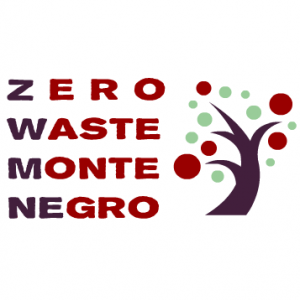 As such, we are proud to be sponsors of a new and much-needed campaign called Zero Waste Montenegro. Current projects include campaigning for a ban on plastic bags, raising awareness of recycling centres and bringing to market the first reusable bags made of recycled materials for Montenegrin consumers. Read more here.